Since I participated in the Sweet Romance Christmas Giveaway on Facebook I’ve been reading my fellow writers’ stories. Twelve of us joined together to offer prizes that included a bundle of fifteen of our novels and short story collections. The Giveaway was a great way to make readers aware of our books and an added benefit for me is that I got copies of all the books. So, in between my writing projects, I’m reading and reviewing each of them. I posted my review of Lucy Naylor Kubash’s An Uncommon Prince and Other Stories in December. 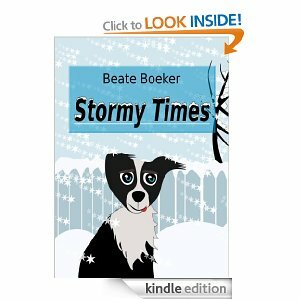 Now, here’s my reviews of Stormy Times by Beate Boeker and Six Months in Montana by Pamela Kelley. This book’s cover doesn’t do it complete justice. There is light hearted humour, a feel good story and a puppy that would appeal to anyone but there’s also romance, drama and a mystery. The most memorable aspect of the book for me was the characters. It took me a few pages to get into the story but the characters caught my attention immediately. I was intrigued by the enigmatic Conran and I liked Joanna – and I kept reading to find out what happened to them. Some of the secondary characters also made an impression on me. Joanna’s secretary would exasperate anyone and I wanted to adopt her father. Secondary characters such as these added to the comedy and warmth of the story. As I read I had a strong sense of the isolated setting and the influence of the small community on the characters. The author used both to good effect to create atmosphere and set up the events in the story. She also deftly puts a completely unexpected twist in Joanna’s hunt for the person who is trying to destroy her veterinary practice which changes the tone of this plot thread – it’s nicely done and in keeping with the feel of the whole book. English isn’t the author’s first language and there is the odd word or phrase that betrays this but I didn’t find that it distracted me from the story. My overall impression when I finished the last page was that I had spent a satisfying few hours with a couple I liked and rooted for. Stormy Times is just the thing, especially on a winter’s night, for readers who enjoy upbeat romances. If you’re looking for a love story that you know will have a happy ending this is it. 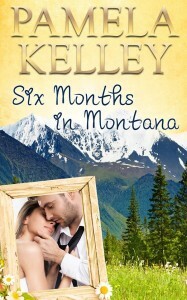 Six Months in Montana is a gentle love story set in the American West – not the west coast, the west that’s humming with cowboys, horses and the great outdoors. A place to get away from the city rat race. As the main character, Molly, grapples with how she can keep Christian, her childhood friend who she has discovered is now much more than that, I never believed any obstacles were insurmountable. I was always confident that she would sort everything out. Molly deals with Christian’s ex-girlfriend, a job promotion she’s always wanted and Christian’s fear of commitment in the course of the story and I wasn’t surprised that she comes out on top. As I’ve said, this isn’t cliff hanger drama, it’s a feel good story. While I wondered how Molly would win, I didn’t doubt that she would. The events in the story kept me reading but it’s really the characters that make it. Molly is the girl next door that most people would like to have as a friend. Christian will appeal to many women’s fantasies and Molly’s mother and aunt could be your own relatives. I felt like I knew these characters. Their warmth and humanity give depth to the story. Without unnecessary detail the author paints a picture of the neighbourhood in New York where Molly lives and the ranch she comes to call home. In my mind I saw vividly the local bar where Molly and her friend Meghan meet each week and I felt the community atmosphere of her neighbourhood. The author’s description of Rose Cottage, the bed and breakfast she runs on the ranch, made me want to book in there for my next weekend break. These captivating descriptions add to the book’s feel good factor. It’s obvious that the author loves good food and wine as there’s references to both peppered throughout the story, leaving my mouth watering at times. So it’s good that she has included the recipe for one of her favourite dishes as an extra treat. When you want to relax with a story that will easily pull you along but not jar you on the way, this is just the book. Readers who enjoy romance and women’s general fiction will settle right into Six Months in Montana. Now that I’ve read and reviewed these novels I’m on to Opal Mellon’s His Only Hope. I’ll tell you about it when I finish reading it. Meanwhile, I hope you have gleaned an insight into these two novels from my reviews. 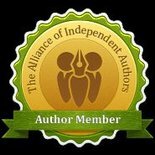 This entry was posted in January 2014, Uncategorized and tagged American romance, American west, Beate Boeker, Pamela Kelley, romances, Six Months in Montana, Stormy Times, women's fiction. Bookmark the permalink.